Looks like most of the warm air is going to win out in this system. Mostly rain, for much of the midwest. 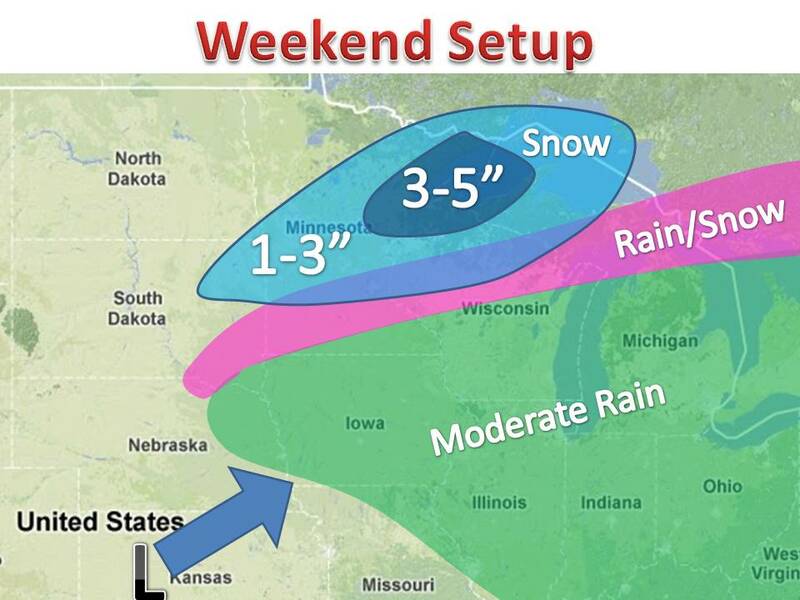 However, A wintery mix is likely in southern MN and northern WI. Even further north the snow will accumulate on grassy surfaces up to 5" is some spots, maybe 6" in the heavy bands. Freezing rain shouldn't be to much of an issue as the atmosphere is not set up quite right for it. 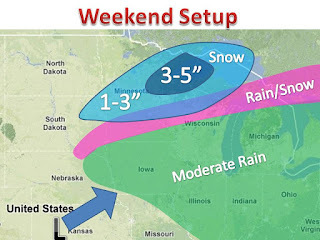 In general, it looks like a wet weekend for many people.